This stunning ensemble will make any little girl feel like a princess! 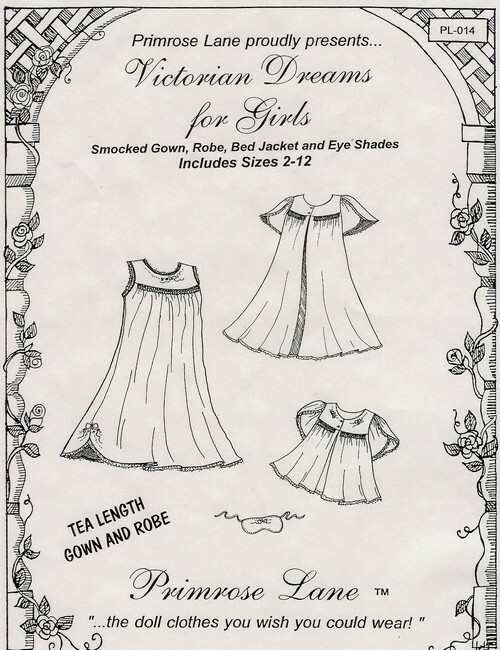 It includes a smocked & embroidered tea length gown, smocked & embroidered robe or bed jacket & matching eye shades. The pattern includes a simple geometric smocking design & delicate embroidery designs for the bodices & hem. Sized 2 - 12 yr.